Summertime is upon us in Kelowna and people will be coming from near and far to enjoy Lake Okangan in this beatiful valley. As people make pilgrimages to the water, many boaters are asking the question, “Where do I launch my boat?”. Luckily for them there are plenty options on both the East and Westside of Lake Okanagan. Below we are going to highlight the three most popular yet accommodating boat launches in Kelowna and West Kelowna. West Kelowna is serviced by one Boat Launch located at the West Kelowna Yacht Club at 4111 Gellatly Road. The ramp has free parking, maintains a steady flow, and has numerous docks to tie your boat to while you park your truck and trailer. For overall satisfaction Kelowna Boat Rentals ranks this boat launch as the best place to get your boat in the water. Ramp – With the recent addition of the fourth lane. Vehicle Parking – If you are looking to park for free all day this is your best bet. Flow – Logistically speaking, this launch has the largest staging area as well as a convenient exit which leaves the ramp clear most of the time. Mooring Space – There are floating docks lining both sides of the launch which makes it extremely convenient for temporary moorage while parking trailers. 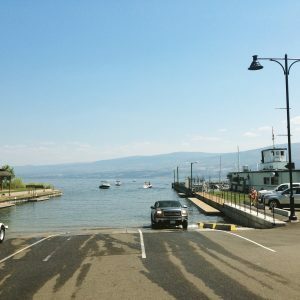 In Kelowna, the boat launch that serves the South Kelowna and Mission is the Cooke Road Boat Launch located at 500 Cooke Road, or adjacent to the Hotel Eldorado. This Boat launch has a reputation of being very busy with many boaters showing limited experience. Parking is available at the boat launch with daily parking for $5 per spot or $10 for truck and trailer. Mission Creek also reaches the water here and this past year silt deposits have narrowed the waterway seperating the launch from the Lake. This silt deposit has also taken the launches longest dock our of use leaving minimal point for boaters to moor their boats while parking trailers. 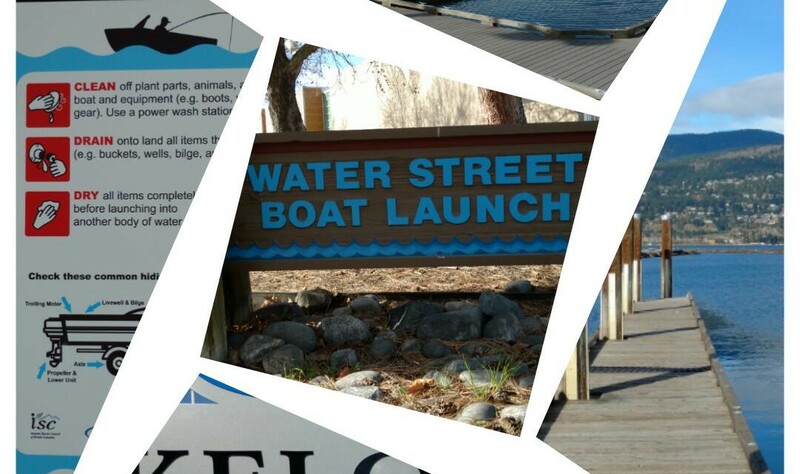 The Water Street Boat Launch is located at 1354 Water Street adjacent to the Delta Grand Hotel and the Kelowna Yacht Club. Parking can be difficult to find downtown on certain days, especially with a trailer, but this contributes to the smoothest flowing boat launches in Kelowna. This Launch is ideal for anyone staying in the downtown area and that is not concerned about finding parking. 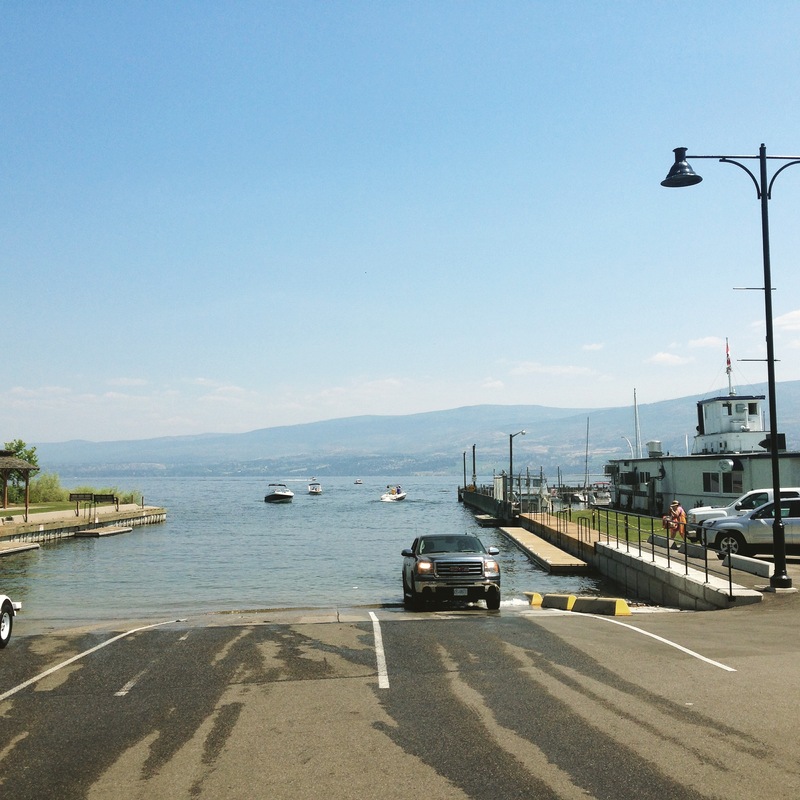 For the true Kelowna experience this is the Boat Launch to start your voyage. Kelowna is a fabulous place to live and being able to rent a boat from a reliable company that has great equipment is a bonus! !